CLOSEOUTS. 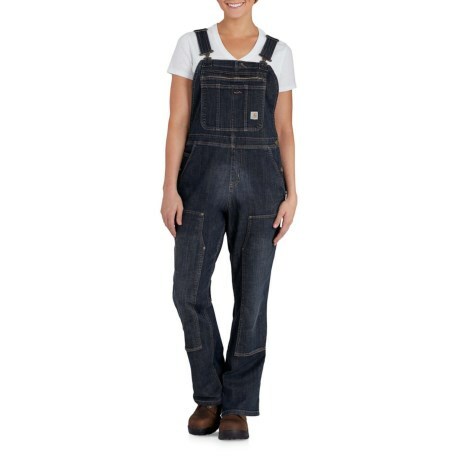 Carharttand#39;s Brewster double-front bib overalls offer the plush comfort of washed stretch cotton and tapered, movement-friendly legs. Available Colors: TIMEWORN INDIGO. Sizes: L, M, S, XL, XS.